Areas are some of the most important components of ASP.NET MVC projects. The main use of Areas is to physically partition a web project in separate units. 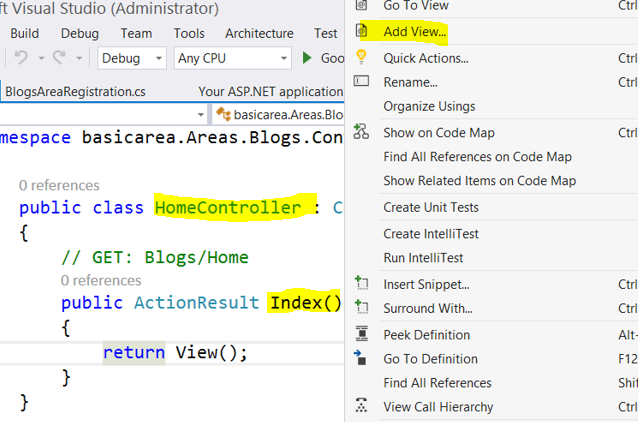 In short, areas can be defined as smaller functional units in an ASP.NET MVC project with their own set of controllers, views, and models. Learn more here. Areas are some of the most important components of ASP.NET MVC projects. The main use of Areas is to physically partition a web project in separate units. 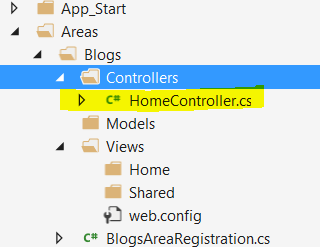 If you look into an ASP.NET MVC project, logical components like Model, Controller, and the View are kept physically in different folders, and ASP.NET MVC uses naming conventions to create the relationship between these components. Problems start when you have a relatively big application to implement. For instance, if you are implementing an E-Commerce application with multiple business units, such as Checkout, Billing, and Search etc. Each of these units have their own logical components views, controllers, and models. In this scenario, you can use ASP.NET MVC Areas to physically partition the business components in the same project. 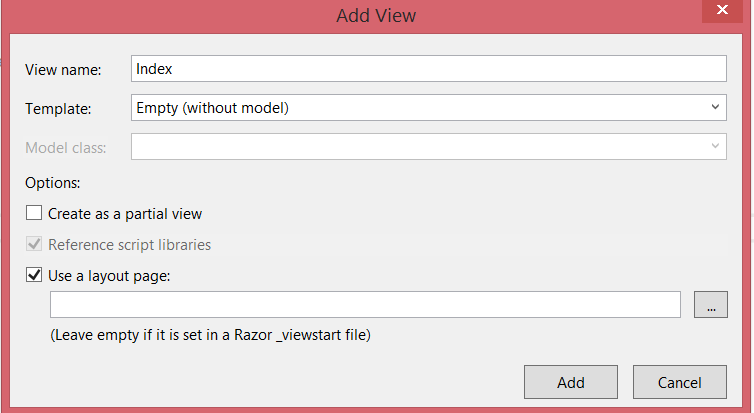 In short, an area can be defined as: smaller functional units in an ASP.NET MVC project with its own set of controllers, views, and models. An MVC application can have any number of Areas. Physically, Areas are put under separate folders. Areas are useful in managing big web applications. A web application project can also use Areas from different projects. Using Areas, multiple developers can work on the same web application project. Here you will be asked to provide the Area name. 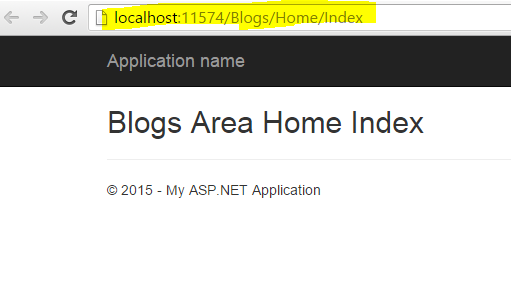 In this example, let’s name the Area “Blogs” and click on Add. Let us stop for a moment here and explore the project. We will find a folder Areas has been added, and inside the Areas folder, we will find a subfolder with the name Blogs, which is the area we just created. 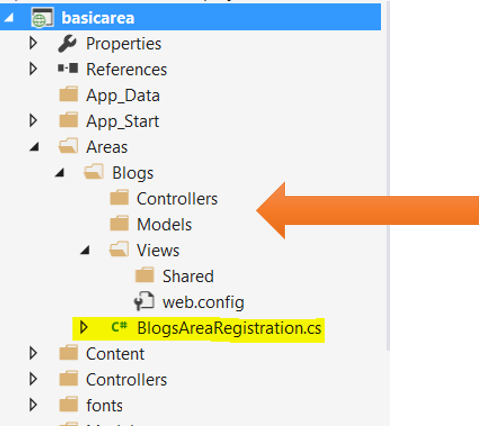 Inside the Blogs subfolder, we will find folders for MVC components Controllers, Views, and Models. In the Area Blogs folder we will find a class BlogAreaRegistration.cs. In this class, routes for the Blog Area have been registered. On the next screen, we need to select the view template, model class, and others. 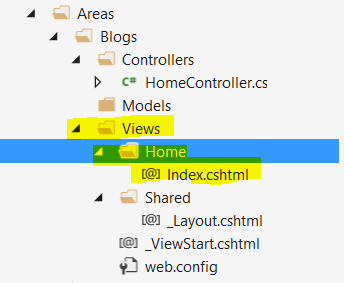 To keep things simpler, let us leave everything default and click on the Add button to create a View for the Index action in the Home controller of the Blogs Area. Now that we have created the Areas, let us go ahead and run the application and notice the URL. As you’ve seen here, Areas are some of the most important components of ASP.NET MVC, allowing us to break big projects into smaller, more manageable units, as demonstrated in this blog’s example. I hope you find the post useful, and thanks for reading! This article was written by Dhananjay Kumar.